The South Loop is perfect for both families and recent graduates alike. Its educational amenities such as the Field Museum, Adler Planetarium, and Shedd Aquarium make it perfect for parents looking for a neighborhood that can play an active part in their children’s learning. With a wide swath of lakefront parks as well, the South Loop provides ample space for biking, running, or taking your children out to the water. 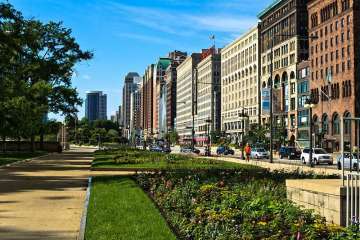 The South Loop also has a wide variety of activities to satisfy adventurous residents – as it plays host to the Taste of Chicago, the Chicago Blues Festival, and of course the enormous Lollapalooza music festival – perfect for those looking for sparks of fun in their daily lives. At night, residents may venture out into the neighborhood’s restaurants, music clubs, or theaters to take full advantage of their free time.